She has since turned to the opposition Labour Party in a bid to secure a majority for an orderly Brexit although its leader Jeremy Corbyn said on Saturday he was waiting for May to move her Brexit red lines. “The longer this takes, the greater the risk of the U.K. never leaving at all,” she said. May has asked EU leaders to postpone Britain’s exit from the bloc until June 30. 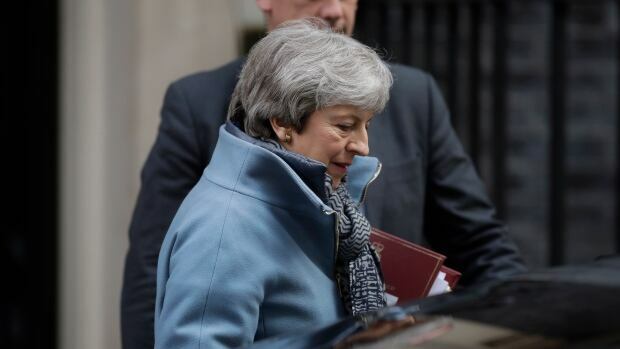 The EU, which gave her a two-week extension the last time she asked, insists she must first show a viable plan to secure agreement on her thrice-rejected divorce deal in the British parliament. 'Welcome to a new era in Island politics': CBC News projects PC minority government in P.E.I.